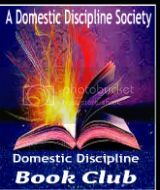 This entry was posted in Domestic Discipline, Round Table Discussion and tagged Adaline Raine, Authors, Belt, Casey McKay, CDD, Community, DD, Fantasy, Katherine Deane, Natasha Knight, OTK, Renee Rose, Round Table Discussion, spank, Spanked, spanking, spanking community. What an interesting journey you’ve had! Happy that you have the DD relationship you wanted. Thanks, Cara! It has been an interesting journey and I suspect it will continue to be! I very much appreciate your honesty – that it wasn’t all great straight away and just more real. As you know, you add a clarity and insight to things I often times can’t and I’m thrilled to know you. I’m thrilled beyond words to know you too, Natasha! You know there were great moments & then real life & insecurity slips in. Once you set it aside the great moments resurface again! Knowing that I’m not alone out here with the things I want out of my relationship makes it SO MUCH EASIER to let go! Corinne, I have always loved reading your posts and thoughts. Your journey, and emotions, and desires, mirror so much of my own. Sometimes, I feel like you are speaking from my own heart! Thanks for sharing yourself with us!! Thanks, Katherine!That means a lot to me! This has been so much fun! I cannot wait for future posts! You are definitely not alone! Thank you for sharing your story– it’s so great and you do help all of us on our journeys as well by speaking from your experience. You must be right because early spankos are famous for looking up the word spanking in the dictionary! I think it does hold a certain energy. I know I for one wanted as much information about it as I could get! I loved that in many dictionaries there would be a sentence with the word contained in it. I would read that sentence over & over & over again! I love that we all help each other by sharing all of our stories! My story, from a male perspective, has similarities to your own. I think many of us who look back begin to realize we went through some common areas of discovery. From fantasy to spanko/play and then many of us continue on to bring it into our lives in the form of a DD lifestyle relationship choice. I agree no matter the direction we take to explore these desires we all have commonality at one point or another! I do remember when Jeff & I started DD I wanted no part of spanking play. DD was very serious to me at that time. I think I was trying to make that divide in my mind as to what was what so that we could fully explore what DD was all about. We have definitely added play back into our dynamic with gusto. I am so grateful for each part of our journey though! Each provided us with so many valuable experiences. I am very lucky that I have a partner who is willing to give anything a shot if it will make me happy. We have had some amazing moments along this journey, definite fantasy come true moments. Know this, though, it takes a whole lot of that unsexy word…communication…& an equally unsexy word…hard work to make it happen. It’s not an instant magical moment for most. You have to be willing to lay it all on the line and open yourself up like you never have before. When real life gets in the way of our intimacy I can rest easy knowing that if we have once achieved it we can achieve it once more. Once you break those walls down, really start sharing who you are, & explore the easier it is each time to find that place once more between you.